I’m someone who loves to get comfortable, snuggle down and enjoy watching a film, reading a book or writing down my blog posts in my notebook. In order to do this, I have an array of cushions on my sofa, ones that offer support, ones that are soft and squishy and ones that I can use to lean my book or notebook against. Being comfortable when sitting down to chill out or complete a task is important. Roo is an avid reader and I can often find her sitting in her room, on the sofa or perched at the dining room table enjoying a good book. She is currently working her way through some Jacqueline Wilson books we managed to pick up from a local bookshop for just £1.00 each. Whilst she is engrossed in the story that is unfolding on the pages in front of her I like to know that she is sitting pretty and is comfortable. She previously had a bean bag in her room but she never really liked to sit in to read, opting for the comfort of her pillows on her bed. Wanting to make sure she is at least in the same room as us rather than hidden away in her bedroom even if she does have her head buried in a book I turned to Graham & Brown cushions to get her a special cushion to snuggle against as she reads about Hetty Feather, or what Tracy Beaker has been up to. Graham & Brown have a range of cushions available on their site, with prices starting from just £20.00 complete with a generous feather filling. 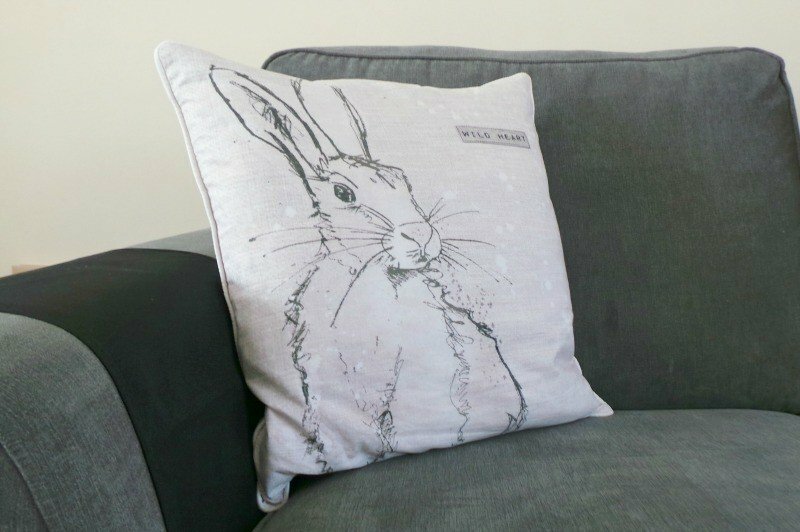 Disclosure: We received a Wild Heart Hare Cushion FOC for the purpose of review.